Two Trims of 2012 Elantra are available i.e. GLS and Limited. Standard features of GLS are;15-inch wheels, keyless entry, tilt steering wheel, power accessories, heated mirrors, driver seat which can be adjusted with height and much more. Standard features of Limited are; 17-inch alloy wheel, front and rear heated seats, sun roof, automatic headlights, keyless entry, rear view mirror, improved sound system, touch screen entertainment system and much more. This all new Elantra is powered by 1.8L “Nu” engine along with V6 transmission which produces 148 hp and torque of 131 lb-ft. Continuous Variable Valve Timing helps engine to perform efficiently with improved power. Aluminum block and head, Dual-Continuously Variable Valve Timing and Variable Induction System are the key components of its engine. Hyundai has used Fluidic Sculpture design in 2012 Elantra and many design lines are similar to Sonata, flowing lines present on the side of Elantra are same as that of Sonata and combines with muscular wheel arches, sleek roof line add style in exterior. Athletic looks are added by the hexagonal front grille, fog lamps, side mirrors and swept-back headlights. 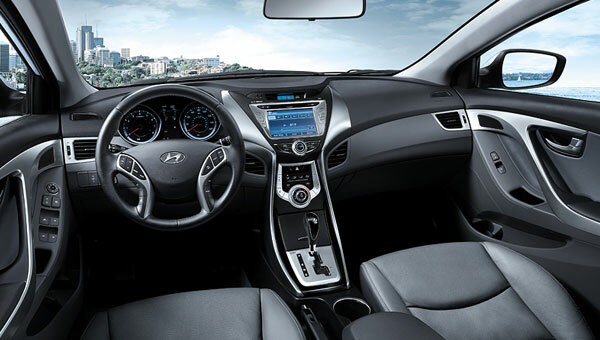 Interior of 2012 Hyundai Elantra is unique, stylish and versatile. Hyundai has paid special attention to the packaging and design of interior to make it best for passengers and drivers in terms of convenience and comfort. Environment friendly foam has been used in its front and back heated seats, cabin is quite spacious and offers enough space for luggage and passengers. 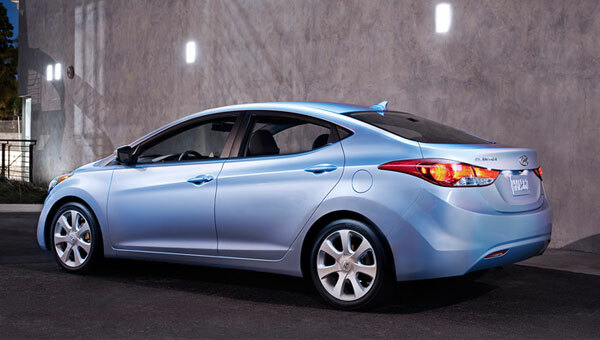 Keyless entry, power sunroof, one touch window on driver side is among the premium optional features of 2012 Elantra. GLS and Limited Trims are equipped with 172-watt AM/FM/MP3 audio system and also consist of XM Satellite Radio. 2012 Elantra is available with touch-screen navigation system which also consists of 7-inches display, this navigation system is also integrated to rear-view mirror. ABS brakes, Vehicle Stability Management, Electronic Stability Control and Motor-Driven Electric Power Steering are among the key safety systems. Set of 6 air bags i.e. dual front, front-seat mounted side-impact, front side, rear side curtain airbag protect the driver and passengers during crash/collision. 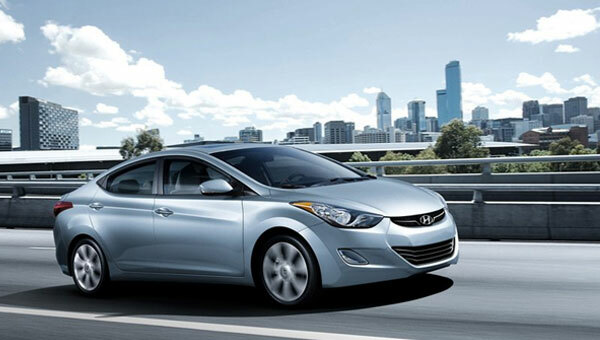 2012 Hyundai Elantra is also among the “Best 5 Passenger Cars from the House of Hyundai” and also holds an eminent position among the existing renowned passenger cars.